Visit to the Cathedral Square | Visit to La Bodeguita del Medio | Enjoy a delicious cocktail at La Bodeguita del Medio. | Visit to the Arms Square | Visit to the San Francisco Square | Visit to the Old Square. | Visit San Jose Market. 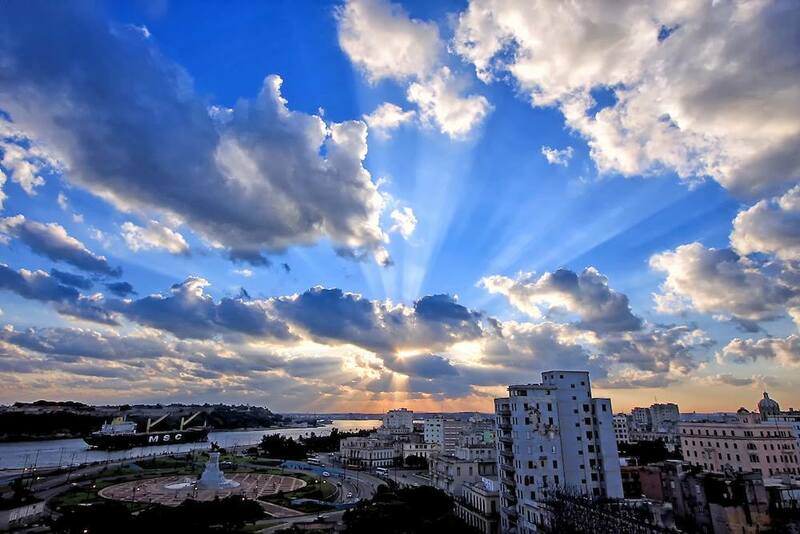 Havana, founded in 1519 by the Spanish crown, became one of the Caribbean’s main shipbuilding centers by the 17th century. Today, it is a city with approximately 2.1 million residents that invites guests to discover a complex mosaic of colors and rhythms, an interesting mix of baroque, neoclassical and renaissance architecture, and a wonderful assortment of cuisine to delight the senses. You will visit Cathedral Square, the last of the main squares to be created in one of Old Havana’s most beautiful spots. Originally named Plaza de la Ciénaga (Swamp Square) because of its muddy terrain, it later became one of the city’s most important squares after it was drained and paved and wealthy families moved into the area and began building their mansions there. The square’s main attraction is a Cathedral, notable for its two unequal towers and its framed theatrical baroque façade designed by Italian architect Francesco Borromini. 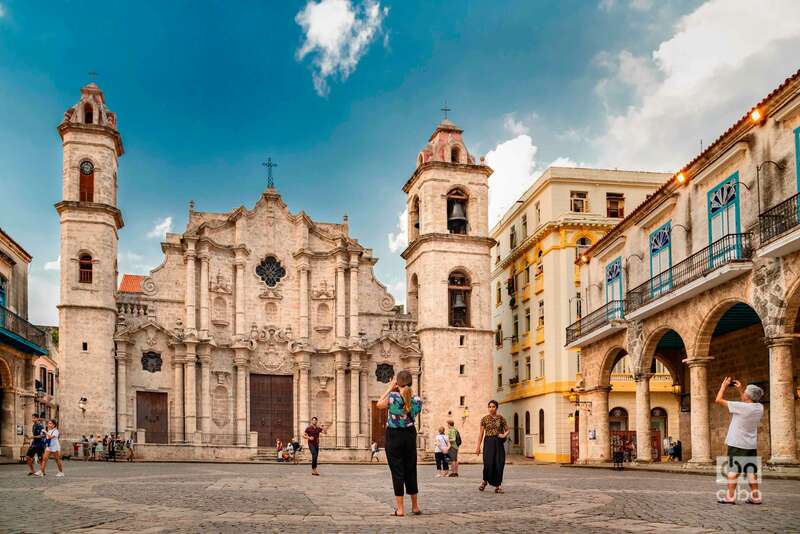 Known as one of the oldest cathedrals in the Americas, the building was finished in 1787 when the diocese of Havana was created and the church became a cathedral. 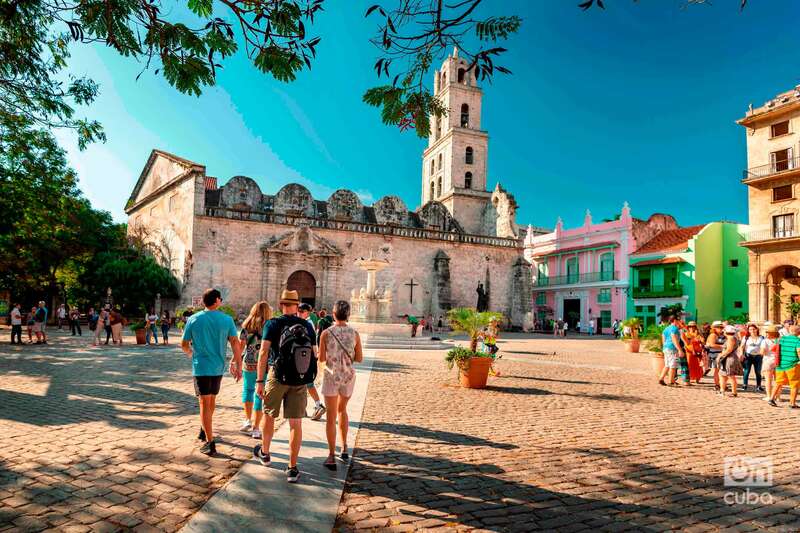 Your tour will continue in Havana’s oldest square, which was built in the early 1520s, soon after the city’s foundation, and was originally known as Plaza de Iglesia after a church – the Parroquial Mayor – that once stood on the site of the present-day Palace of the Captains-General. The name Plaza de Armas (Arms Square) wasn’t adopted until the late 16th century, when the colonial governor, then housed in the Real Fuerza Castle, used the site to conduct military exercises. Today’s plaza, along with most of the buildings around it, dates back to the late 18th century. In the center of the square, which is lined with royal palm trees and hosts a daily (except Sundays) secondhand book market, is a marble statue of Carlos Manuel de Céspedes, the man who set Cuba on the road to independence in 1868. In 1955 the statue replaced one of unpopular King Ferdinand VII of Spain. Also of note, to the east of the square is the late18th-century Palacio de los Condes de Santovenia, today the five-star Santa Isabel Hotel. You will see the historic Plaza de San Francisco de Asís, created in the 16th century when Spanish galleons stopped at the harbor on their passage through the Indies to Spain. The plaza underwent a full restoration in the late 1990s and is most significant for its uneven cobblestones and the white marble Fuente de los Leones (Lions Fountain) carved by Italian sculptor Giuseppe Gaggini in 1836. Then you will continue on to Havana’s Plaza Vieja. This architecturally eclectic square, where Cuban baroque meets Gaudí-like art nouveau, was first built in 1559 and was originally named Plaza Nueva (New Square). The square was initially used for military exercises but later served as an open-air marketplace, where you can now also see bars, restaurants and cafes. 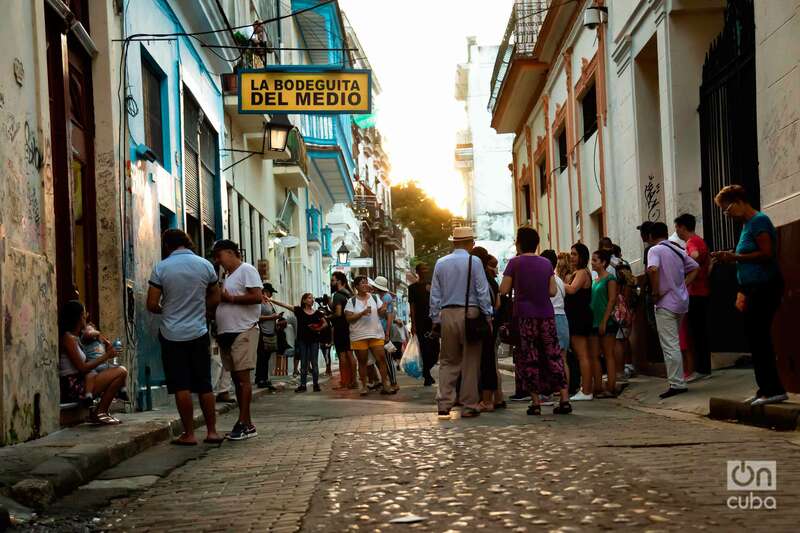 The square has its own micro-brewery, the Angela Landa Primary School, a beautiful fenced-in fountain and, on its west side, some of Havana’s finest shop windows. Plaza Vieja has had various uses, the last of which was an underground parking lot, but when Old Havana was declared a UNESCO World Heritage Site in 1982, the square was restored to the historic plaza it is today. 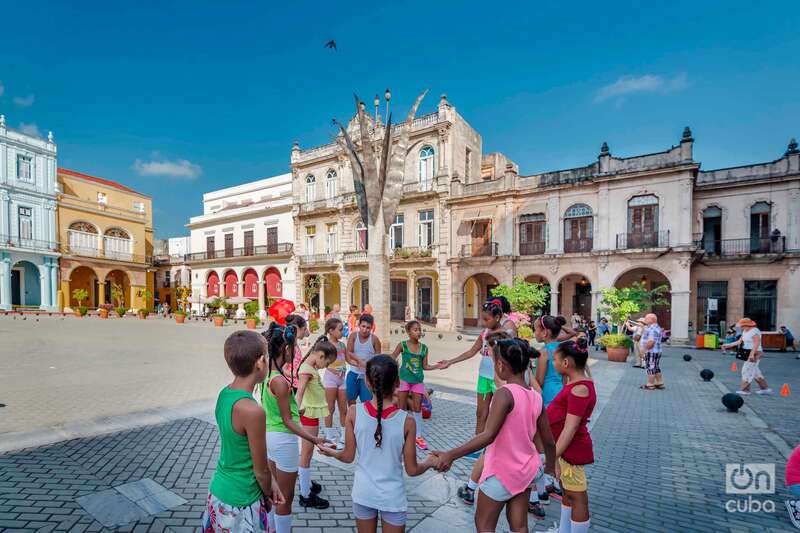 While in Plaza Vieja, you will be able to admire the restored colonial buildings from the 17th, 18th and 19th centuries and take in the many popular attractions for both Cubans and visitors, like street performances and visual arts. You will visit San José crafts market, the old warehouses are home to the largest crafts and art market in Havana, with more than 330 small stalls where you will find all kinds of souvenirs: guayabera shirts, T-shirts, wooden sculptures, leather accessories, jewelry, paintings and innumerable objects related to Che. You will also find products for skin care made with natural ingredients, coffee and coconut oil to cocoa butter, all of Cuban origin. The prices are reasonable and negotiable, so if you suddenly find yourself haggling with the seller to get a lower price, do not worry, it’s part of the experience. Afterwards, you will return to the pier. This tour involves considerable walking, mostly on paved and cobblestoned streets. There is a significant amount of steps. The tour is not available to wheelchair guests. Guests are advised to bring their camera. This tour is OFAC compliant.